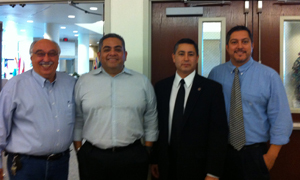 We have recently entered into a partnership with Texas A&M International University Laredo . In April of 2010 we began this relationship with TAMIU when our president, Abel Lopez, was invited to be the keynote speaker for their one-day parent/student event. 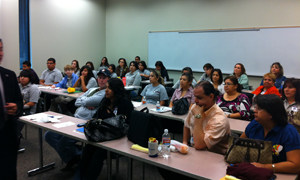 The following month A&M directors Dr. Albert Salinas and Mr. Michael Smith came and witnessed the program in full force. A partnership was birthed with a verbal agreement between CLAY Student Leadership and TAMIU, which has now become official. The two organizations signed a contract in November with plans of venturing out to greater action in the future. Today CLAY and TAMIU are writing history together, and impacting the lives of students and parents in the South Texas area, which will create transformation for generations to come.